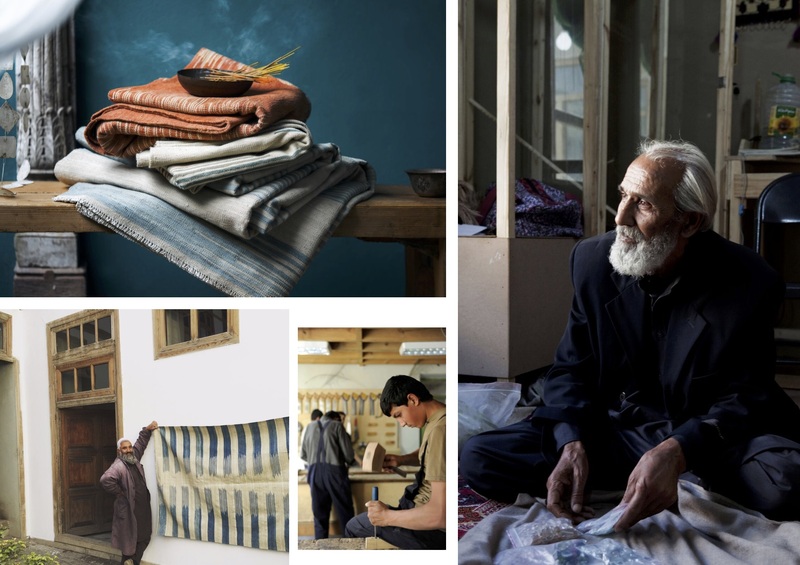 Above: Edmund le Brun and Flore de Taisne, co-founders of Ishkar – Craftsmanship from Countries at War. Thanksgiving — still my absolute favourite holiday ever despite having lived in the UK for the last twenty three years. Second favourite holiday — Boxing Day. A. because it’s No. 1 Son’s Birthday and B. because it’s the more relaxed version of Christmas. When we moved to London from New York in 1995 with a six month old baby, I did think that maybe we could leave Black Friday — the least fortunate part of Thanksgiving — behind and somehow magic up the Thanksgiving version of Boxing Day by creating my antidote to Black Friday so to speak. But alas, over the years, I have noticed with dismay that Black Friday has increasingly gained momentum over here. I never understood it as a child and it’s still no more clear to me now why anyone would want to brave crowds and traffic to buy cheap goods when instead one could stay home, eat leftovers, go for walks and rent a video — I guess it’s Netflix these days. Black Friday signifies the first day of Christmas shopping but that’s not how I want to buy my Christmas presents. Above: Woven stories from Ishkar. Let’s face it — the process of giving is no simple matter. Joyful as giving may be — or as we have been led to believe — presents are loaded with meaning and finding the right ones can be complicated and stressful, especially at this time of year. But as far as I’m concerned, giving a present without thought or meaning is squandering away a luxury — and I think I’d rather not give at all than give without consideration. Over the years, I have re-found the joy in giving by giving simply as well as ethically. I always start by asking myself what can I give which might improve a small part of someone’s daily life? Something useful, beautiful to look at, lovely to hold or that provides comfort. It’s the things we use daily or frequently that become ingrained in our memories and remind us of the people who gave them to us — no matter how big, little, expensive or not. And if these presents are thoughtfully designed or handmade from sustainable materials, they have all the more chance of being cherished and less likely to end up forgotten and unused in a cupboard to be re-gifted, donated to charity or take up unnecessary space in a landfill later down the line. 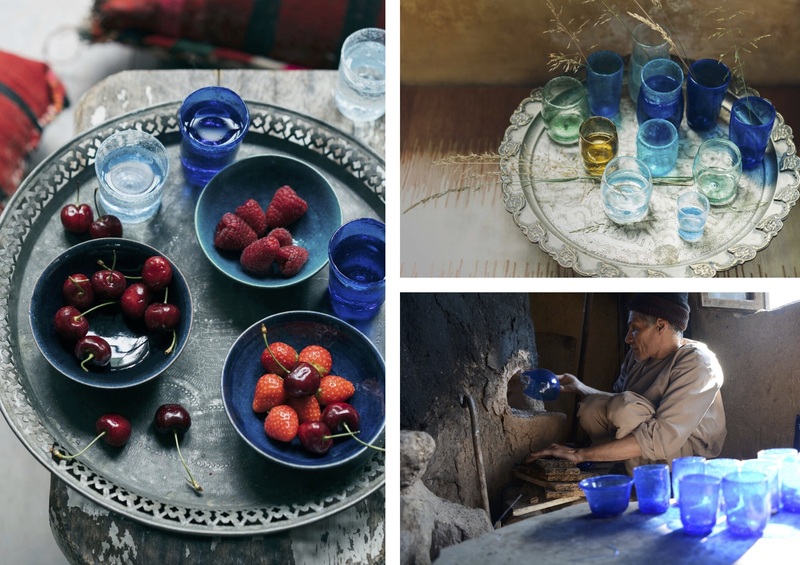 Above: For two thousand years the distinctive coloured glass of Herat — Afghanistan’s third largest city — was traded along the length of the Silk Road. Ghulam Sekhi is one of the last in this ancient line of glassblowers. 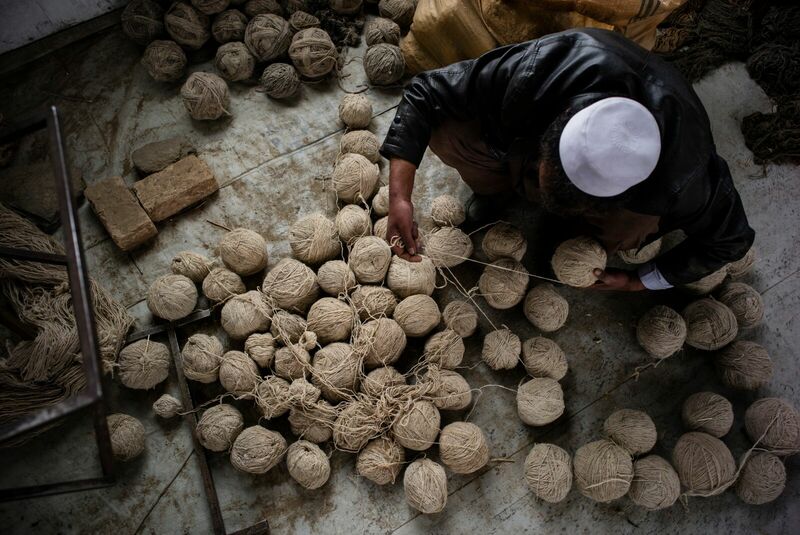 In a mudbrick workshop at the base of Herat’s ancient citadel, his work is keeping this precious industry alive. With the products they develop with their artisan partners, Ishkar are creating economic opportunities for craftsmen in war zones who have been cut off from the international market; supporting NGO’s by purchasing their products through them, ensuring a proportion of the money Ishkar invests is recycled back into development projects; and changing our perspectives of countries undergoing war by using the power of stories and products to inform, surprise and inspire. And if it’s too early for you to start thinking about Christmas, you can always start with finding a present for yourself at Ishkar. That to me is the perfect way to transition into Christmas. Above: An Ishkar craftsman at work. What a great find, Christine! I will be shopping here for Christmas – beautiful products with a great ethos. Love! Thank you so much for this excellent recommendation. Holiday shopping done with gratitude and a warm feeling in the heart! 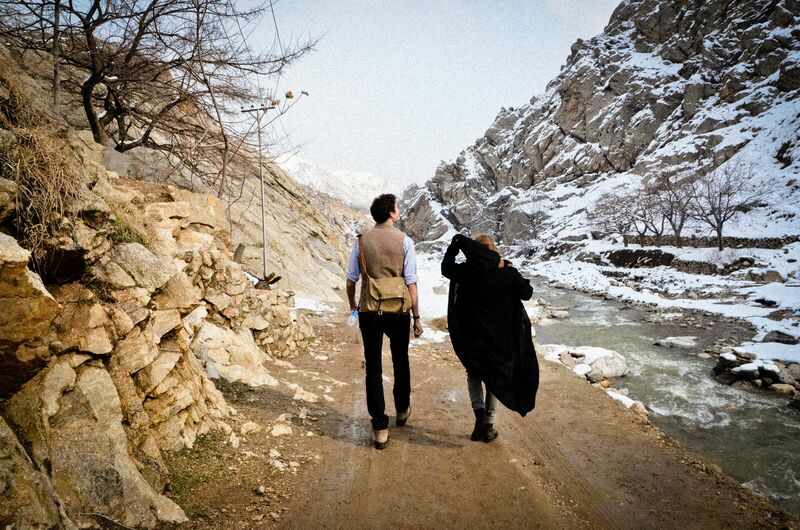 Afghanistan is one of the most beautiful places on earth and the people there are so warm. I love that this company is helping such magical places to at least soften the harshness happening around such wonderful people. I was so pleased to receive this post, to learn that a company is trying to preserve craft and income to craftspeople in war torn countries. And I can’t think of a better way of buying presents for loved ones. Many thanks for this beautiful post about a beautiful company. I am so grateful to know about Ishkar now, Xtine! Thank you Stacey for your comment and support! Inspiring post. There is a wonderful spinning wheel shown in the Ishkar film. Thank you for the recommendation! Thank you for your comment Rosanna and loved the fact that you watch our little film.